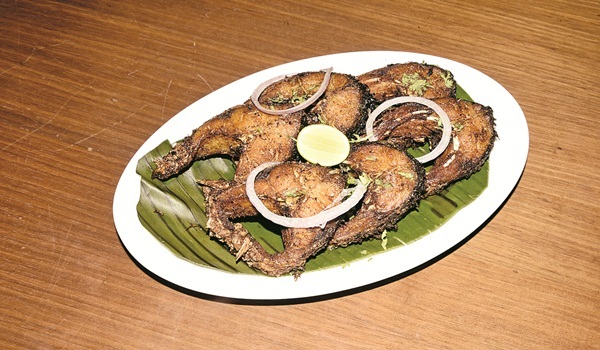 The Bengali Food Festival at Raddison Blu Plaza, Banjara Hills starts today and promises a sumptuous spread. At the media dinner preview the gastronomical delights were curated by Chandra Shekhar Pandey. The dinner started with Bengali phucka. The tamarind water was tangy enough with the right amount of chilies. The filling, too, was near to perfect. Other starters were Kebab Kathi Roll, Beguni, Singhara and fish egg chops. Singhara had the tasty potato and mixture with fried peanuts and green chillies. While rest were fine Kebab Kathi rolla��s paratha could have been made softer.